Expertly crafted in the UK, the Freddi Table Lamp by Heathfield & Co features ornate detailing complemented by smoke glass. 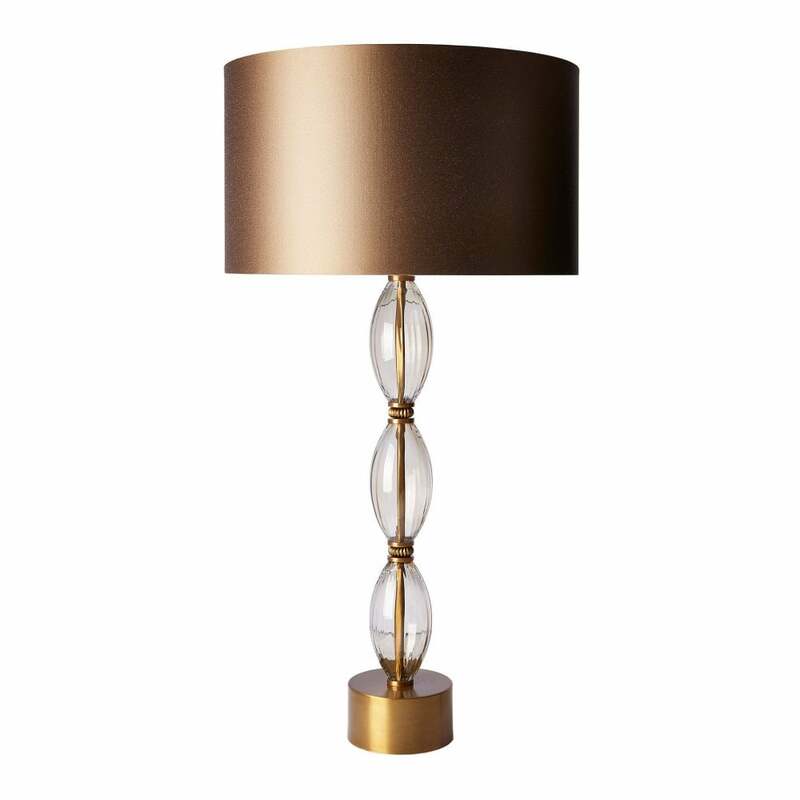 The antique brass base is finished with a luxurious gilt satin shade in a copper tone. This classic design will make an elegant additon to a dining room, hallway or bedroom. The warming hue contrasts beautifully with marble, dove grey and monochrome accents. Also available as a floor lamp. Make an enquiry to receive tips, advice and samples.